Huh, this day is my very-very Wordless Wednesday. Why? This is the reason why I am so wordless.. Damn speechless! 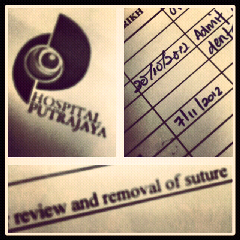 Oral Surgery je ; Bedah Gigi Bongsu.